On Sunday, there was a tragic loss of a wonderful horse called Hickstead. He was a stallion that helped Eric Lamaze win a pair of Olympic medals at the 2008 Beijing Games. Hickstead sudden death came during a World Cup event- veterinarians attempted to revive him, but to no avail. The story of these two is amazing. Over the years Eric Lamaze has had public personal problems. His upbringing was rough. His mother was a drug addict, and his father was not involved. He dropped out of school by Grade 8, and he was raised by an alcoholic grandmother. He had been banned from competition due to drug use. Although disgraced, he redeemed himself in a huge way with Hickstead, and winning the Olympic Gold. Hickstead was so good, he has been called the ‘Michael Jordan’ of the jumping community. Hickstead was not some well bred, destined for greatness horse. He was too small, to uncontrolled to be able to jump and win. His breeders tried to have the U.S. equestrian team take him, but no one on that team wanted him. But then a Canadian, Eric Lamaze, saw something others didn’t see. He took him for a ride, jumped him, and was able to see the potential of a great horse. The two claimed multiple victories on the international circuit- even though during that time Mr. Lamaze was disqualified from Olympic competition because of his cocaine use. But the two of them perservered, and went on the win Gold. For every horse there is one rider, and for every rider there is one horse. Clearly this fits with Eric Lamaze and Hickstead. So beautiful.. and healing.. I just hope that Mr Lamaze does not go back to his addiction.. that he remembers the love of his horse.. I would hope they do an complete autopsy on this horse. I fail to see the glamour in the story. Was this horse on performance meds? Was he over trained, overworked? At 15 should he have been still performing or in a demanding training program? Did he have an existing heart condition and it was ignored or neglected? He dropped dead during a competition from a heart attack not while having a social time in pasture with other horses or in his sleep. If this was a racehorse on the track that fell over everyone would be all over the story with accusations of animal neglect and abuse. 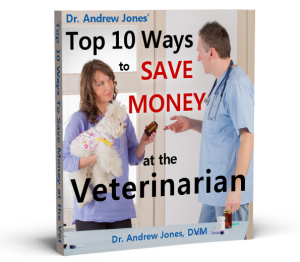 As a vet do you not have the same concerns or questions? I am so sorry to hear of the tragic death of Hickstead. I am only thankful that Eric Lamaze saw in him what others did not. The two of them were both Olympic Champions, and my condolences to Eric. I know that you will one day be reunited, Eric. Until then, treasure the moments that the two of you shared. As there is a Rainbow Bridge for dogs, I believe it is there for horses too, where the grass is always green. RUN FREE, HICKSTEAD, RUN FREE!!! That is so tragic to hear of the sudden death of this great horse. He truly gave his ‘all’. I’m sure it will be a sad, sad day for Eric Lamaze. He should be proud that he saw in Hickstead what no one else could see, and that the two of them connected to make a winning team. What an inspiring story, but such a tragic ending. Very nicely put! I too have been saddened by this loss. It was so very tragic and I understand Mr. Lamaze is in mourning over this great horse. The Globe and Mail in Saturdays issue (Nov.12/11) wrote a lovely article entitled, “Hickstead’s Legacy: A Soaring Love Story.” Our animals are such amazing creatures! Terrance Millar, chef d’equippe of the Canadian Show Jumping Team said and I quote,”There are days they’re going to hit one and they have to be brace to come back the next day and not hesitate and just jump. They need tremendous heart and tremendous bravery. Hickstead had ’em all in spades”. Prayers, Blessings, Light and Love to Mr. Lamaze and his tremendous Hickstead. Thanks for sharing the story in honor of Hickstead. I hope his death was of natural causes and not from neglect or abuse as one of the other members noted. There are humans that die of young ages who are pysically fit, so don’t be so quick to point fingers. My heart goes out to Mr. Lamaze, as I am sure he will miss Hickstead greatly. Don’t underestimate the power of love! It doesn’t bother a dead animal to be autopsied. His energy has gone on. But it might discover something that will prevent this from happening again. Perhaps someone saw a competitor in this horse and murdered him or perhaps he was training under the wrong conditions or whatever. Good knowledge can be gained but afterwards honor should be shown to him by a lovely burial place done in a respectful way. Goodness knows all animals deserve such and few can get it. I hate to say it but I think that J. Grant maybe the closest to the truth. I’ve been around the horse world long enough to be jaded. I am very sorry for the wonderful Hickstead. R.I.P. Oh and Eric I know how you feel, right now I am losing an awesome, valiant and beloved german shepherd and am heart broken. But they would both want us to try to find another like them and make their lives good too although at my age I probably shouldn’t do so again as I wouldn’t want to leave one homeless if I die. I do have his lady to finish taking care of though so I am not completely without by any means thankfully. All my pets are rescues which I encourage everyone to do. several years ago, i saw a news clip on tv…three young girls and their pony club horses were featured. all of them gushing about how much they loved their horses, how they were best friends and about all of the fun things they got to do together. one of the girls at the very end said…but my horse is for sale if anyone wants him…i am getting a bigger and faster horse in the spring. breeding, buying, selling, trading, upgrading horses is a national past time in our society. horses weigh a thousand pounds..they are a very expensive hobby to keep. each horse is only able to be and do what it can..eventually a newer, bigger, better model is wanted. and the older model’s costs of keeping become a roadblock in our search for our must have the perfect horse that can do everything for us again. it is about $1000 per month, give or take, to care for an old horse pretty well. this does not include electricity to the barn for water and light, nor does it include time and labour to care for them either. you are looking at a minimum ionvestment of 2 hours per day..one hour in the morning, one hour in the evening of time that the horse deserves at least. so how many people have an extra $1000 and 60 hours per month for an old or useless horse? now you could shove them out in a pasture and ignore them with little or no time/cost like what happened to *** and *** but eventually even that is going to cause problems for them and for you. plus…here is the kicker…it costs about $500 dollars to humanely knock them off too…a couple hundred for the vet, another few hundred to get the bodies carted away. or you can sell them at auction with a fantasy dream that someone will buy them (for $500 as per their body weight) and give them the home of their dreams…and we just killed two birds with one stone…the horse is taken care of and we have some cash from it too! in reality..the only one bidding on most of the horses is..mr. meat man brokering for the slaughter houses, he is buying that horse for about 50 cents per pound. he is going to load up that nice and loyal horse who was so beloved by so many homes over the years and truck him or her several hundred or thousand miles in a truck full of other scared horses and deliver them to the never ending line up of other walking dead terrified horses to be prodded up a bloody and slippery shute to a dead bolt right to the head and a body hook to carry the carcass down the dead horse assembly line. and while all of this is happening..many idiots somewhere are watching the miracle birth of another innocent foal who will eventually end up on the very same hook cuz that is how each year thousands upon thousands once beloved horses finally go. No creature is perfect, thank goodness – to ride and compete on a horse that does something they love with all their heart and soul… it is such a blessing! But… all good things must pass… Thanks for the story and cheers to Hickstead and Eric !! I had to comment after reading some of the negative comments about this horse or the horsemen involved with he’s care. Understand people are heart broken not “just” because it a horse that died at a very earlier age with possibly many years left to compete. People are heart broken that a beloved member of the Canadian Olympic team died unexpectedly. He was a national hero and was taken from us to soon. This was a very special horse that touched many lives as all Olympic athletes do. We need the celebrate his life not cloud his memory. It is NOT that life is so SHORT it is that Death and Non-Existence is so LONG! We are drawn to Animals and the companionship and solace that we give each other as we all venture down this road and Circle of Life and very few are remembered after their passing, Hickstead and Eric will be two that are. Every once in a awhile we are given a peak behind the Veil and when we are we are simply astounded by what we SEE, as Horses, Men and Dogs are just a sequel on what is yet to COME! What a great story. RIP Hickstead. Thanks for sharing. I would like to have an answer from Dr. Jones’ for no. 2. I tend to agree with with J. Grant. I agree with comment 2, and anyone who thinks horses love their jobs, BE REAL! Any horse, and I mean any horse would rather live the life of a free horse, not one forced to perform. Yes they do it for us and for that we should be forever grateful. They’ve changed history for us, they helped us survive and now that they are recreational for the most part we owe them! We owe them enough to make sure they live as naturally as possible. They are not machines, they were not put on earth for us to win medals, win races, win stupid blue ribbons, they are here for us to cherish. I wonder why this horse died so suddenly. I don’t know much about horses but it reminds me of other incidents with animals who are used for man’s purpose and not allowed to live in freedom. Perhaps he had been pushed too hard and pushed into a “box” which robbed him of his freedom and dying was his way out! Hi, I would really like to know what happened also because I live in New York and two horses have collapsed in Central Park. One horse Charlie died and I was thinking it was from neglect the other one didn’t die but that is strange now to hear about Hickstead. Anyway, rest in peace Hickstead, my condolances to Eric I will send him healing thoughts. This blog is for people who are mourning the death of the Great Hickstead. Your comments are not only innapropriate, but offensive. Take your horse slaughter debate somewhere else. Having been a competitor in show jumping and dressage, I have closely followed all equestrian events, worldwide. I was stunned and deeply saddened to see the report of Sir Hickstead’s untimely and unexpected death. I watched Mr. Lamaze’s news conference the following day. My heart breaks for him and Hickstead in this loss. To Hickstead – you shall never die. Your spirit lives on beyond what we can see. Run free. Benedicite deum. Requiem In Pace. To Mr. Lamaze – my sincerest condolences and prayers. Be at peace. I believe that there is nothing that could have foreshadowed this event in Hickstead’s demeanor, performance or appearance for the heart is a very fickle organ. I believe that, as a cherished Olympic competitor and valued friend, he was very well treated and that his care was excellent. 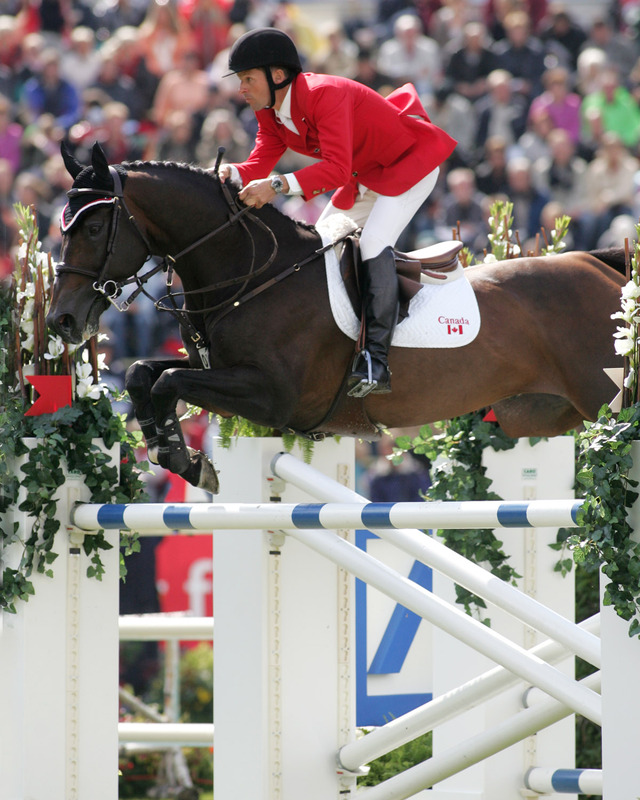 Most sincere condolences to Mr. Lamaze on the sudden death of his partner, Hickstead. What a loss…he was such a lucky horse to have been found by someone who really “got” him…kinda like Seabiscuit sooo many years ago. I do hope the cause of his death is discovered. re:#20, Tammy, while many/most horses would rather lounge in a grassy field than work, there are exceptions to this (as to every) rule. Some horses love their jobs, be it jumping, racing, therapy work etc. re:#13 Mary, I liked your post. WAY too many people think of horses as disposable property; they don’t ever consider how a horse feels when it is re-homed. A friend of mine fell on very hard times several years ago & after much thought had to let most of her horses go…the looks on those horses’ faces when they left with their new owners broke my heart…they’d been with her most of their lives & just didn’t understand what was going on…broke my heart. That’s the reason I made a promise to my horses that I’d keep them till their last breaths…they deserve it. I know how he feels. My horse and I had been together for 21 years when he suddenly died in my arms. It was in ’91 but it feels like it was just today. Thanks again for all of you who have commented. The cause of death was sudden aortic rupture, meaning the main blood vessel leaving the heart suddenly ruptured. This is not linked to performance drugs, and there has been no suggestions that Hickstead was on any of these. There was likely an underlying cardiac condition- think about an apparently healthy person having a heart attack. Congenital aneurysms, migrating parasites, and copper deficiencies are among the causes that have been suggested. To me the story is about how one person can have such a strong bond with one animal, and do such incredible things. Appreciate and enjoy your animals while you can- you really don’t know when something will happen. Thank you for your response Dr. Andrew. In researching aortic rupture i learned what can be leading causes, the symptoms to watch for, the importance of close attention to health and prevention of the causes you listed. Apparently sport horses are prone to this….and possibly a contributing factor the age of the competing horse. This condition also has taken down known racehorses being they are of thoroughbred background. Much is yet unknown about it. You did answer my questions and verified some concerns. Being an animal lover as you are my concern above all the glory was the horse.I always treasure your medical advise and wisdom. I totally agree with J Grant’s comments on November 16th. It’s a tragic loss, perhaps one that could have been prevented, all factors taken into consideration. Being a total animal lover, the “how it happened” saddened me. Horses are not machines to be used by people. Many horses lose their lives by jumping and breaking legs. Even horses that win often get sold to killer buyers for horse meat in Europe and Japan. Horses are over bred to find the one “good” one. The rest are killed for their flesh. More horse slaughter houses are being built in this country. We are losing all of our wild horses to cattle ranchers and killer buyers. Some race horses are murdered so their owners can collect the insurance money. Carriage and cart horses do no better. No horse is well taken care of if he/she is exposed to traffic all day, every day, or even once for that matter. Even elephants have been hit by cars in traffic and they are much larger targets. When the horses aren’t taking tourists for rides, they are standing stock still for hours on hot or freezing concrete, not made for a horse’s feet, in the hot sun, rain, snow and cold with blinders on, which in itself is cruel as it deprives the horse of most of its sight! Can you imagine spending your days with your sight deliberately and severely restricted? Blinders were designed to keep horses from panicking in traffic, a normal reaction that they are denied but we are not. Horses wearing blinders can’t see traffic because their eyes are placed to the side, not like ours which face forward. They can’t get out of the way of danger because they can’t see it. So to add to the daily exposure to injury and death, the carriage horse is deprived of movement, shelter during the day and perhaps at night and most of his/her sight, and when he is moving, he’s pulling a heavy load. Those horses that have their tails bobbed, “for fashion” can’t even swat the biting flies off their bodies. There is also no way to prove a horse owner isn’t providing enough water and food or abusing his horse at night. Forget affection, a place with green grass to run and frolic and the companionship of others of their own kind. Carriage horses have nothing left but the loneliness and misery of slavery to their owners for life, before finally going to slaughter when they are old and too tired to pull carriages anymore. These beautiful, sensitive, sentient beings have been turned into living machines. Anyone who thinks horses enjoy this, knows nothing about either horses or respect and kindness towards other beings. Horses are horses for their own sake. They owe us nothing. In fact, it’s the other way around. I do mourn this horse. I mourn him for never having lived a normal horse’s life and having been pushed over the brink by his owner/trainer/rider. He may have live many more years otherwise. I can’t help wondering if he was doped as so many comitition horses are. All forms of horse racing and compititions should be made illegal everywhere; the sooner the better. Horse use IS horse abuse. I am so sorry for your sad loss of your very special horse, Hickstead. Grief is the worst feeling. This death was sad and unnecessary, although Hickstead was probably treated well, most horses in this industry are not. If horses could choose to show jump, do you think they would? Do you believe that horses in the wild seek out obstacles taller than themselves, to jump over, for the fun of it? Just because animals are forced to do something, doesn’t mean that they actually want to. There are plenty of non-animal sports for people to take part in – using animals to compete is not only morally wrong, but also totally unnecessary. Even show jumping has been exposed for hidden cruelty. At the 2004 Olympics, Irish show jumper, Cian O’Connor, was stripped of his gold medal and also received a three month ban from competition, for doping his horse with human sedatives. Then at the 2008 Olympics, another Irish show jumper, Denis Lynch, was barred from competing in the show jumping final because his horse tested positive for a banned substance called ‘capsaicin’. This substance is found in a product called Equi-block (a supposed ‘pain killer’), which he bought over the internet and regularly used on his horse. Capsaicin is derived from chilli powder, and causes a burning sensation that, when rubbed into an animal’s legs, encourages them to jump higher because hitting a pole is so painful. These are two who were caught – imagine how many more, who are not under the spotlight, get away with doping and abusing horses in the name of this ‘sport’. Not to mention all the horses who have sustained injuries over the years through these events, and the level of abuse witnessed at dressage competitions – a lot of riders use the spurs on every step the horse takes, causing bleeding and bad bruising. The skin gets so callused that it becomes like sandpaper. Other riders fasten the noseband too tightly, which can have an excruciating effect on the horse because it denies it the ability to move its jaw. There is also an undeniable link between eventing and bloodports, as a huge number of hunt members take part in, steward, and judge these competitions. These people spend their days watching foxes and deer get maimed and killed – for fun – so do you really think they have compassion towards horses? Most are also involved in the horse racing industry, where 10,000 horses are killed every year just because they aren’t good enough to become racers. Horses are only commodities to these people. What do you think happens to horses when they are no longer of use or profit? For these reasons, hundreds are transported by the equestrian industry many miles to be slaughtered every week in Mexican slaughterhouses. ANIMALS ARE NOT OURS TO USE. THINK OF THE HORSES. BOYCOTT HORSE SHOWS! REST IN PEACE HICKSTEAD. How very sad to hear of the passing of Hickstead. It is like losing a member of your family. Fifteen years of very special memories and a relationship that will never be equaled. He has crossed the Rainbow Bridge to be with the others. I was looking for a place to comment on your post regarding Peta putting to death a high number of animals coming into their care.I do not believe that Peta has the resources (not referring to financial) for long term care or adoption process of any animals.Nor do they see the necessity unfortunately. Of course that could be easily investigated, follow up on where the pets went after apprehension, stats on successful placements if any. To my knowledge it is being currently investigated and absolutely should be.I am with you Dr Andrew on the Peta concern, and i believe they will find the answers mortifying. Secondly, you may ask why is this mention in this post? Well i guess you could weigh which is the greater evil between putting down unwanted pets to jumping and racing to death other worthy noted animals. To me the humane race needs to practice a greater respect, commitment and compassion towards the safety, health and well being of the animal world in total(pets and non-domestic)..period!